The weekend of October 5th/6th was WordCamp Europe 2013, the first trans-European gathering of WordPress developers, users & supporters. As a veteran of many IT conferences since the early 90s, I can say that WordCamps are pretty untypical. But in a good way… most WordCamps aren’t profit making, they are community driven with the admission fee covering event costs and a large chunk of the running costs met by sponsorship from the community (both individuals and commercial/non-commercial organisations). Stadgehoorzaal in Leiden, the Netherlands was the location selected for the first European WordCamp. Sure there have been WordCamps in many (most?) European countries but these were usually a national affair, with the odd bit of international cross-pollination. 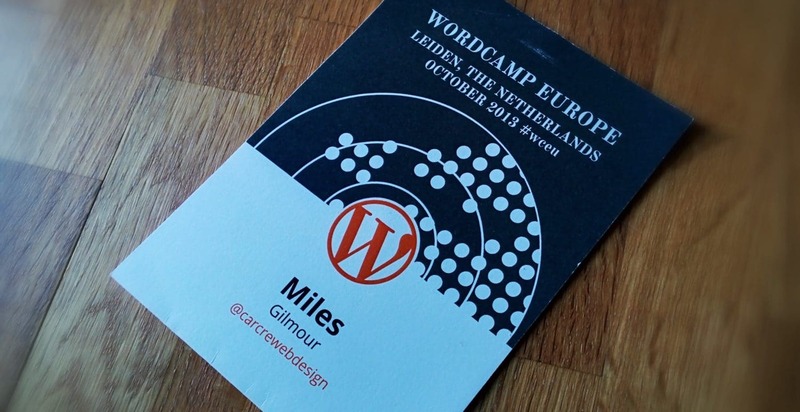 This was different – a WordCamp for a whole continent! The location was absolutely perfect and top marks to whoever found/selected it. Leiden is only a 15 minute train ride from one of Europe’s biggest airports – Amsterdam Schiphol – so people from all over Europe and the rest of the world were able to get there quickly and pretty painlessly. The Stadgehoorzaal itself was another great choice. A concert hall with a large main auditorium and a smaller room that also had a stage and two levels of seating. Recently renovated, everything was well laid out, clean and new. The main auditorium in particular brought a sense of occasion due to it’s size and theatre-style layout. Arriving early on Saturday the venue was just starting to come alive, with t-shirts and and lanyards being distributed as the attendees took their first steps inside. I feel pretty sorry for anyone who had their first taste of public speaking on the main stage at WordCamp Europe, but I guess if they could handle that, the next step is probably stadium gigs! The main stage was impressive due to it’s scale and layout. A mid-sized theatre with two floors and tiered seating, there was an atmosphere of expectation that this was going to be something big the minute you walked in. Despite such a sense of occasion, there was no hint of nervousness from those on stage. Speakers ranged from high profile “web personalities” like Vitaly Friedman and Matt Mullenweg, through to names that were less familiar but no less engaging. It’s important to remember – but easy to forget when you are watching a presentation – that the vast majority of the speakers at a WordCamp are not used to giving presentations to such a large audience and have probably given up their work and personal time to prepare. “Why Big Brands Love WordPress” by Sara Rosso was an eye opener. Being a relative latecomer to WordPress, I wasn’t aware just how popular it is with big name sites. Finding out that high traffic sites like the Rolling Stones, The New York Post and Metro were using WordPress was confidence inspiring and a useful tool in the proposal armoury. Bram Duvigneau amazed me during his presentation on WordPress accessibility. Hearing him use a screen reader – even at a much slower rate than he would personally read with – was awe inspiring. It also made me revisit my own commitment to accessibility and I’ve since taken steps to improve my own output. In Joost (“Yoast”) de Valk’s session, I started to think that the wider world was at last beginning to recognise my good looks and effortless charm 😉 Heads turned in the lower floor to look up to where I was sitting in the gallery. Alas no! @photomatt had sat down in the empty seat next to me and was just about to ask a question – gotta keep working on the blue steel! The whole conference had a great vibe. Maybe it was because it was the first one, maybe it was because it was truly global, maybe the location helped or perhaps it was just the strong black coffee, but WCE had an electric feel. 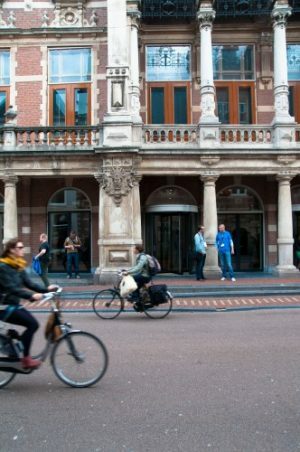 There was an atmosphere of collaboration and community, words often bandied about when talking about open source software, but rarely as tangible as they were in Leiden. Everyone in the sessions was pulling in the same direction, and sure some people were pulling harder and had more commitment than others, but the sense you left with was that you were part of something bigger, and it wasn’t just about money. Due to meeting up with some old pals in Amsterdam, I missed the offical WCE afterparty, but the red eyes and yawns the next day suggested it was a pretty good one! In web development, there is an often overused word; Awesome. If you’re lucky, once in a while a product, a company or an event comes along that actually justifies that tag. 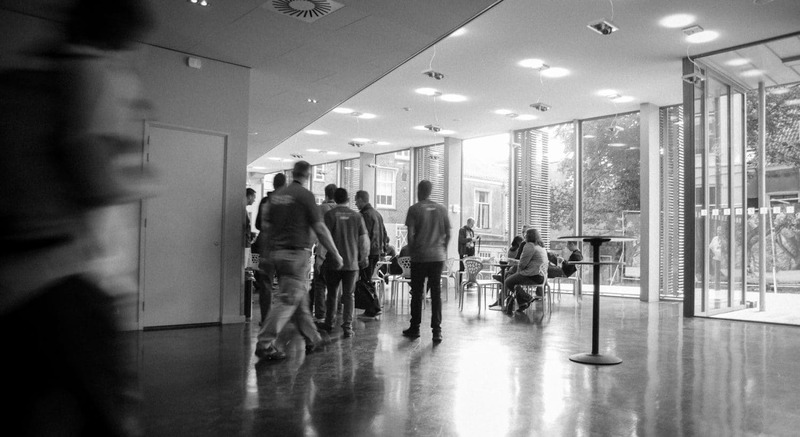 WordCamp Europe 2013 was such an event. From the line up of speakers, to the location, the venue, the organisation – the whole thing could not have been better. I learned a lot, had a great time and got a new t-shirt (bonus!). The only problem now is… how are they going to beat that next year?